The method is very suitable for young- as well as older people and is easy to integrate in daily life. It involves easy to learn exercises, breathing and meditation techniques, giving simultaneous benefit to the body, mind, intellect and Soul. Some of these techniques are : the Bow technique, the Pranayam technique, the Ohm Sadhana technique, the Mahamudra technique, , the Yjotimudra technique etc. In this spiritual tradition the techniques are only passed oral and personal to the students by competent teachers. When you do the exercises everyday 15 till 20 minutes you experience the physical, mental and spiritual benefits. Why initiation ( Dikshya) ? Initiation helps the student accelerating his progress and minimizes the time to succeed and overcome obstacles. It gives the basic tools to achieve success and perfection i.e. humbleness, hard work, discipline, positive approach, fearlessness, sense control, sharing, forgiveness, faith and divinity, patience etc. Without initiation these are very difficult to obtain and hence success is doubtful in spiritual practice. The Gurus prayers and love and best wishes for the student are great protection and help to the student. The student should sincerely try to implement the conditions of initiation and should not misuse the trust and technique imparted by the Guru. What is necessary for initiation ? For Kriya Yoga initiation the genuine intention to learn the techniques and the daily practice is a must. And to be free from dogmatic thinking. If you want to be initiated in Kriya Yoga and learn the practice, then let us know via e-mail and we will inform you what is needed and why it is needed. The initiation is given by Mahaswami Atmananda Paramahansa and takes place in one of our centers. During Kriya Yoga initiation the Guru is helping the student to make a couple of vows of spiritual practice including keeping the techniques of Kriya Yoga confidential and practicing the techniques daily. After the Kriya Yoga initiation you will receive a small booklet “Kriya Yoga Anthology” which contains background information including some inspiring spiritual teachings of Mahaswami Atmananda Paramahansa. Dress modestly, wear clean clothes; informal and comfortable in which you can move unhindered. All other questions concerning the initiation and practice of Kriya Yoga as well as questions for more general information, demands for free attendance at a Kriya Yoga lesson or Satsang, or a personal conversation with Mahaswamiji or one of his representatives, we reply preferably by e-mail. The monthly newsletter “kriya Yoga Sandesh” is distributed by e-mail among all Kriyabans ( Kriya Yoga practitioners who are initiated by Mahaswami Atmananda Paramahansa and his authorized Yogacharyas). The newsletter is written by Mahaswami Atmanandaji and includes his spiritual teachings, his discussion and interpretation of the holy Bhagavad Gita and news from his centers worldwide. The “Kriya Yoga Sandesh” is available in multiple languages including English-, Hindi-, German- and Dutch language. The lessons are every week in one of our 2 centers in The Netherlands. For data see “Agenda and activities”. Initiation in higher Kriya Yoga take place after sufficient progress by constant daily practice of the techniques and is subject to the discretion of Mahaswami Atmanandaji. Satsanga means actually “holy meeting”. When several people come together to meditate, the spiritual impression and power is greatly strenghtened. You are able to concentrate better and meditate deeper and enjoy inner peace. The Satangs we organize is at the same day and same location of the Kriya Yoga lessons during the month and are accessible to Kriyabans. For data refer the “ Agenda and activities”. In the Kriya Yoga Dhyana Kendra Centre ( the main Ashram of Mahaswami Atmananda Paramahansa) in Rourkela, in the state Orissa in India, an annual international Kriya Yoga seminar is organized and takes a few days. This yearly international function is guided by Mahaswami Atmanandaji and includes public lectures on Kriya Yoga, discussions on holy scriptures, prayers, guided meditations and initiations. All programs deal with important aspects of Kriya Yoga, discuss the benefits that it offers and gives instructions for the implementation in daily life which gives as a result the disappearance of stress ! During the seminar healthy vegetarian meals are being served, free medical check ups and medical treatments are offered and through the receipt of donations young students are enabled to follow study. Students and interested people from all over the world are invited to attend and benefit from this special celebration. Other Kriya Yoga centers organize smaller Kriya Yoga seminars during Mahaswami Atmanandaji’s tours in India, Europe, USA, Canada and Asia. These seminars offer an update, renewed energy and inspiration, leaving behind the pressures of every day life and offer you the possibility to be together with Mahaswami Atmanandaji and ask Him for His help and guidance. For data refer “Agenda and activities”. The value of silence cannot be understood except through experience ! During the visits of Mahaswami Atmanandaji, the centers regularly organise retreats in suitable accomodation in a relaxing and inspiring environment. The participants of the retreat maintain silence during the time at the retreat, joining an extensive program with daily guided group meditations, classes, lectures, relaxation techniques, question and answer sessions etc. Free time can be used to relax and spend in nature. Participants are expected to join the full program of a long weekend ( 2/3 days) in order to achieve optimal results of the retreat. Kriyabans and interested people who want to have initiation by Mahaswami Atmanandaji are invited to join the retreat. For more information see “Agenda and activities”. Public lectures on Kriya Yoga are organized by the centres during Mahaswami Atmanandaji’s visit. The public lecture is in a public space and aims to give an introduction of Kriya Yoga, the philosophy, the techniques and the multitude of benefits to the interested people. The public lecture is open to everyone. Through the website and notices on the spot the place and time is published. 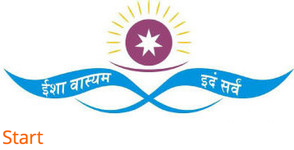 Donations to the organisations of Mahaswami Atmanandaji ( Kriya Yoga Dhyana Kendra and his centers worldwide) support the work of Mahaswami Atmananda in Kriya Yoga and practical spirituality. It offers the possibility to visit the centers to help and guide the students and interested people. Also it enables to distribute publications such as the monthly newsletter. Donations also provide for the maintenance of the Ashram facilities, assit charitable projects and protect the interests of our need to support needy people. Your help is needed for the support of the spiritual and humanitarian work of Mahaswami Atmananda Paramahansa and is highly appreciated. Donations are voluntarily and are based on what you can give. We are grateful for your donations.